First reported by the Thoroughbred Daily News, the breeding rights to Kentucky Derby contender Irish War Cry have been purchased by a group of leading breeders, and he will stand alongside his sire at Hill `n’ Dale Farm in Lexington, Kentucky upon his retirement. 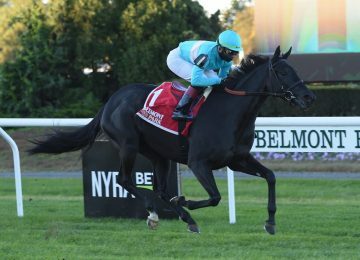 The deal was put together by Bradley Weisbord of BSW Bloodstock. 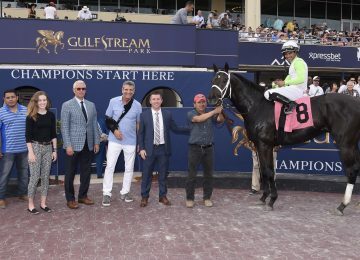 The group includes Hill `n’ Dale’s John Sikura, Glen Hill Farms’ Craig Bernick, SF Bloodstock, Colts Neck Stables, the China Horse Club, Bobby Flay, Sol Kumin and Vincent Viola. 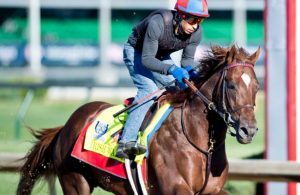 Irish War Cry, who arrived at Churchill Downs Monday night to prepare for the Kentucky Derby on Saturday, will continue to be solely campaigned by owner and breeder Isabelle De Tomaso and will race in her silks, and Graham Motion will continue to train the horse until his retirement. 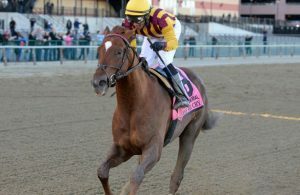 Irish War Cry, bred in New Jersey by his owner, has won four of five starts, including the GII Wood Memorial Stakes, the GII Lambholm South Holy Bull Stakes, and the Marylander Stakes. 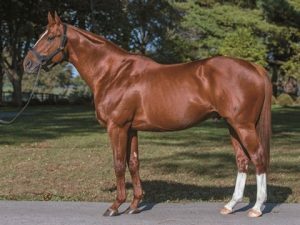 His sire, Curlin, a two-time Horse of the Year and Classic winner, is currently standing the 2017 breeding season at Hill `n’ Dale for $150,000 after finishing second on the general sire list to Tapit in 2016. 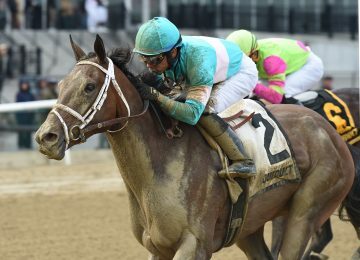 He was the sire of five Grade I stakes winners in 2016, including Preakness winner Exaggerator, Stellar Wind and Curalina. 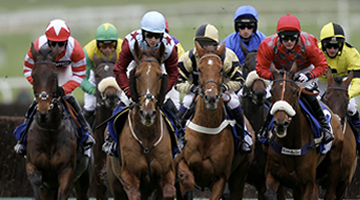 We look forward to rooting him on in the 143rd Kentucky Derby!